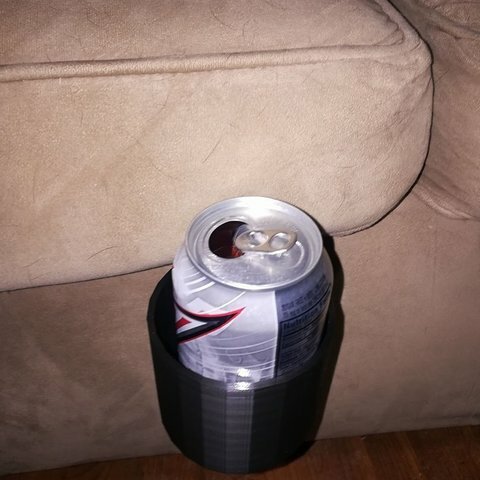 This is a can holder designed to sit under the couch cushion. This is great if you don't have a good place nearby to set a can down. You can print extensions if the original isn't long enough. Tolerances are tight so once you put the extension on it probably wont come off.